- The Canadian Fisheries Minister, Gail Shea, announced an incredible killing quota for seals for 2011: 468,200 defenseless seal pups! Every year Canada starts the sensless and monstruous seal sloughter, paying no attention to harsh reactions and condemnation from around the world. Footage of the seal slaughter have shocked the world and showed that helpless seals, aged mostly no older than two weeks, have been brutally murdered with harpoons and bats, been skinned while most of them were still alive. Many baby seals die trapped under the ice after being injured, watching other baby seals being beaten to death seeing the bloody fate befalling so many of them. Last year, more than 200,000 seals were killed, and Canada plans to start even bloodier massacre this year, in which 468.200 seals will be slaughtered. This is the largest quota in history. Sealers have killed more seals in one year with hakapiks, sticks and rifels, but that was before the quota system was instituted - as a result of serious concerns by conservationists in the late 1960's about the potential for the extinction of the harp seals due the high numbers killed by the sealers/fishermen. 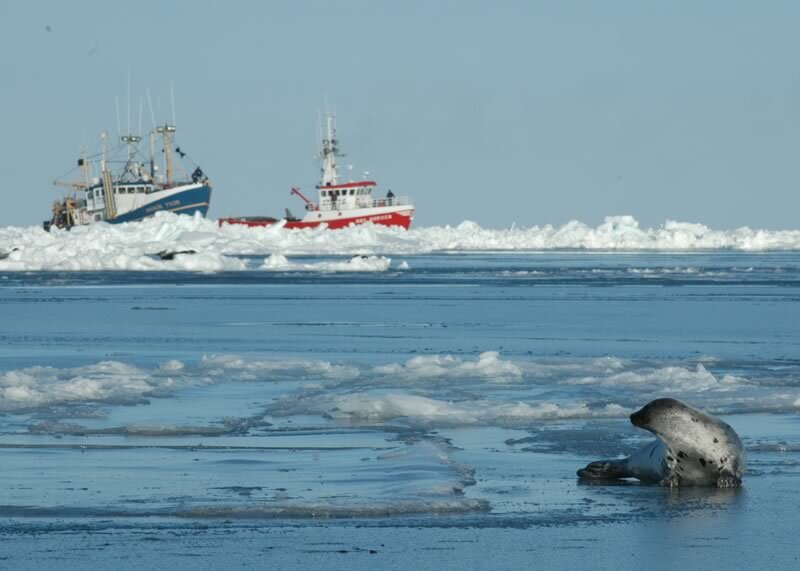 This quota comes as ice in the Gulf of St. Lawrence is once again so sparse that seal mothers have been having trouble finding places to give birth. How many seal pups are dying of drowning this year? The Canadian Departement of Fisheries and Oceans admits that it doesn't know. This quota announcement is clearly designed as a slap in the face of everyone who opposes the seal slaughter and fights for compassion and the survival of the seals. Although Minister Shea authorized the killing of over 468,000 seal pups, the fact is, there is no market for all these seal pelts. The Canadian government has been pouring taxpayer dollars into subsidizing the seal hunt through grants to sealers to develop "value-added" seal products, through ministerial trips to China to push seal meat on this market, through all the underhanded ways in which it targets anti-seal hunt activists. 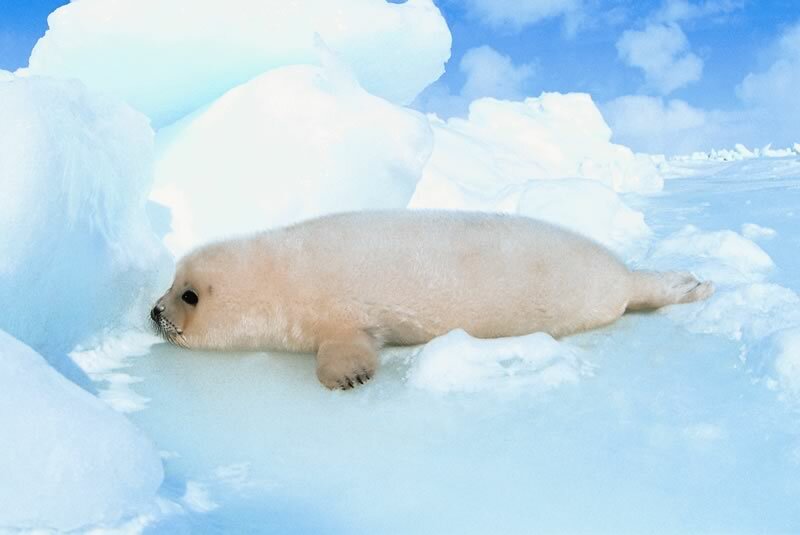 Nevertheless, the market for seal products has dwindled over the past several years as a result of all the hard work of seal activists and anti-seal hunt organizations around the world, the great opposition of the Canadian citizens and national bans on import of seal products (the United States, Mexico, Slovenia, Croatia, Belgium, the Netherlands, Latvia and the entire European Union). On the occasion of this unbelievably shameless slaughter, Animal Friends will send a T-shirt and a song of the Croatian band Superbrands "The Hand Strikes Hard" against the seal-hunt in Canada to the Canadian Ambassador in Zagreb with a plea to pass it on to Minister Shea.